Radical, means what has to do with roots. 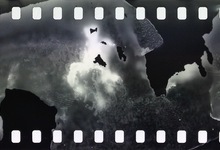 The film is made with black radish: minced and cut in parts, then patiently placed and exposed on film. In a digital age, we go back to the roots of cinema!